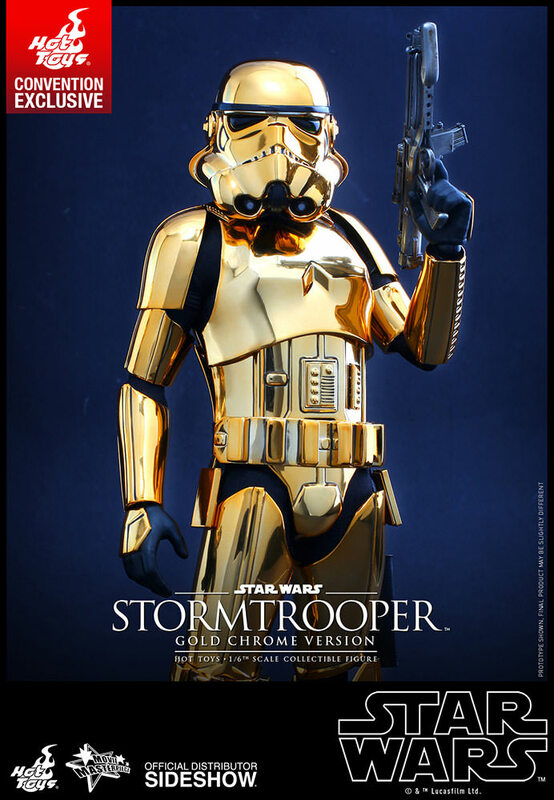 Stormtroopers have been some of the most highly recognizable characters in the Star Wars saga and pop culture with their timeless character design. 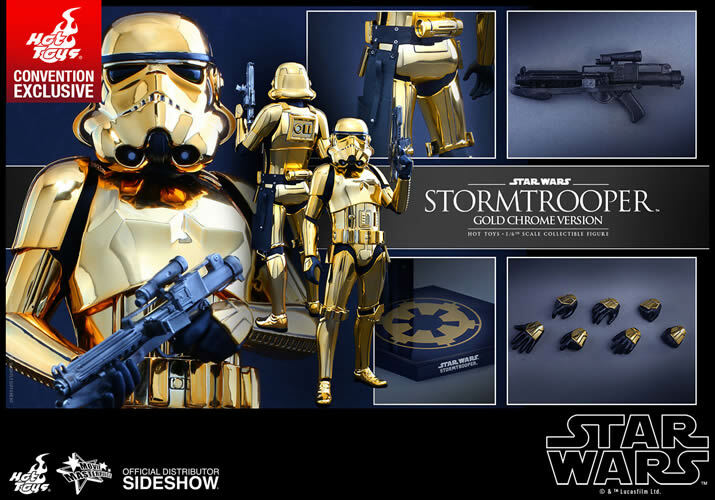 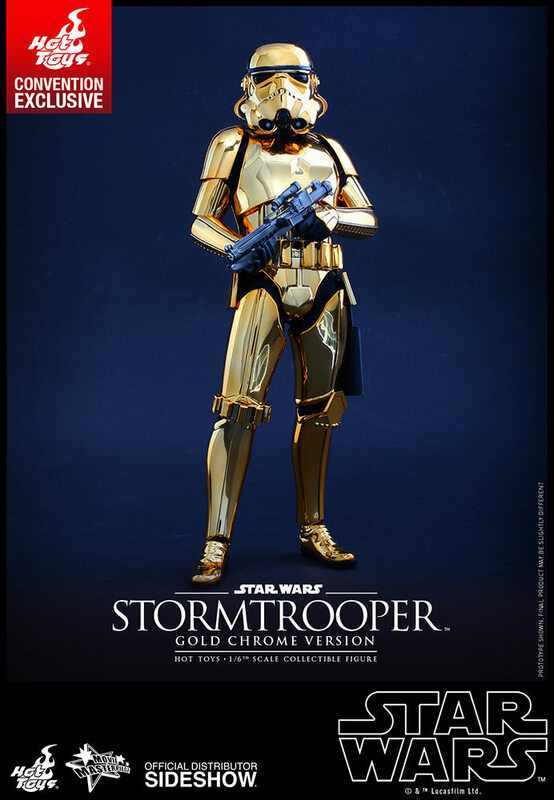 Hot Toys is putting a “Midas” touch to this classic armor and is pleased to introduce a special faux-gold chrome version of the sixth scale Stormtrooper collectible figure as a Hot Toys Exclusive item, only available in selected markets! 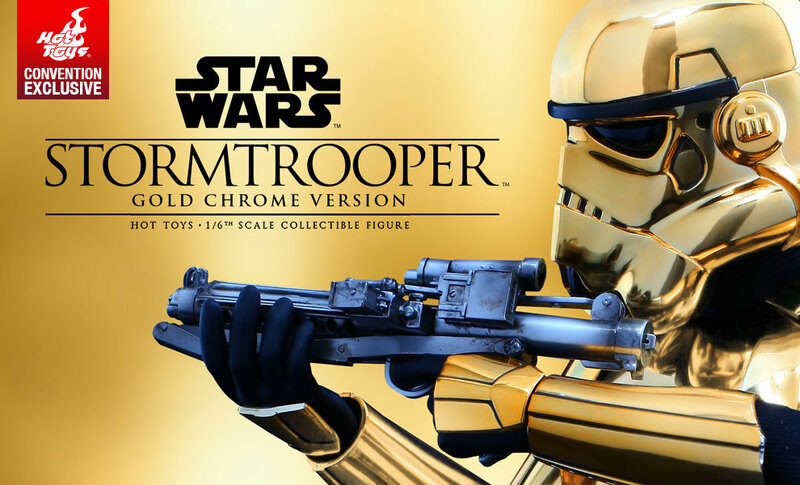 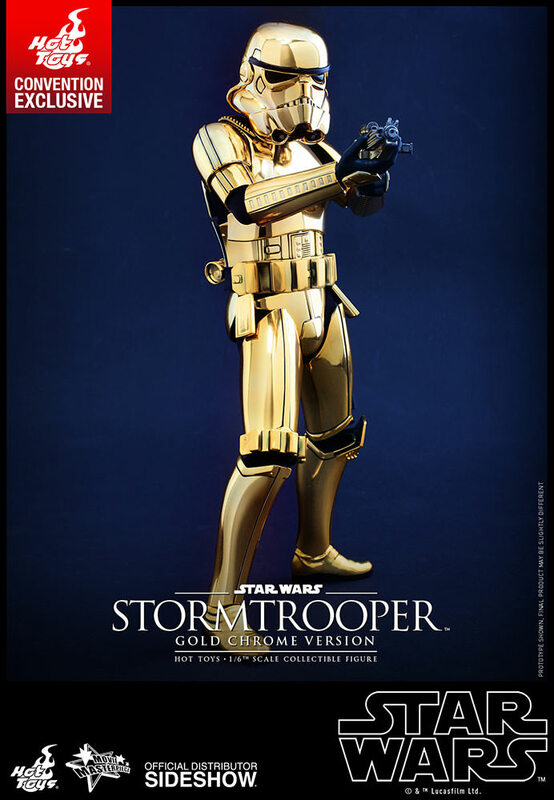 This lustrous collectible figure is specially crafted based on the image of a Stormtrooper in Star Wars, featuring the iconic armor design in a brilliant faux-gold chrome finish, a fabric bodysuit, a blaster rifle, and a hexagonal figure stand with golden Imperial emblem. 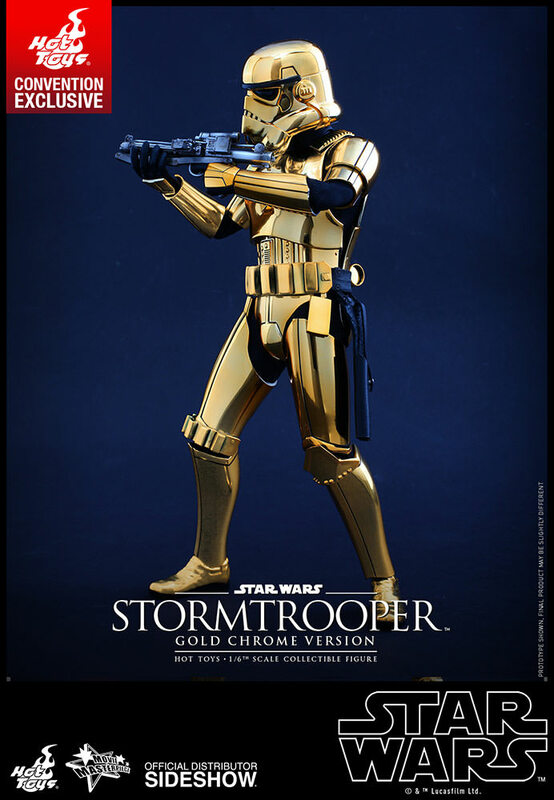 Brand New in Sealed Hot Toys Shipping carton.